""Real Madrid are the best club in the world. I don't want to lie today. It is my dream since I was a kid. I was dreaming about this club." 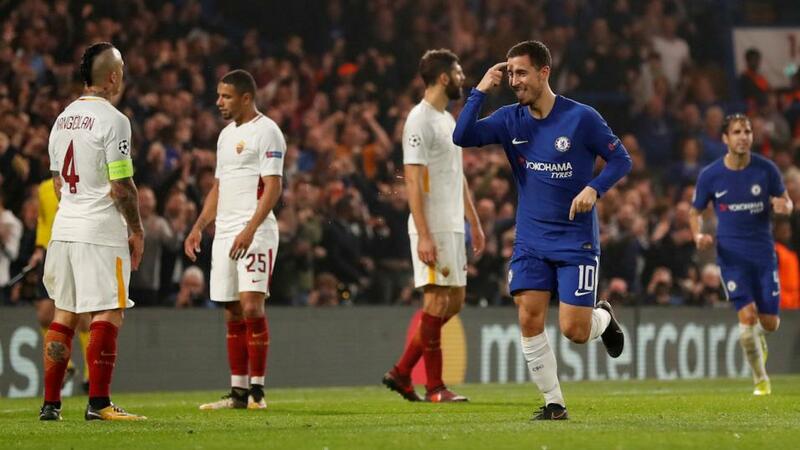 The Belgian forward, who has already scored seven goals this season, has less than two years left on his Chelsea contract but said he is torn over signing a new one and pushing for a move to Madrid. "I don't want to say, 'yes, I am signing a new contract' and then in the end I don't end up signing," he told the media. "Sometimes in my head, I wake up in the morning and think I want to go. Sometimes I think I want to stay. Our traders now make Hazard a 4/6 chance to sign for the Champions League holders before September 1 - and 11/8 to go in the January transfer window. He's 11/10 to stay at Stamford Bridge for the start of next season, and 1/2 to remain after the winter window has closed. The comments come with Real Madrid head coach Julen Lopetegui under pressure after a run of three defeats and one draw in the past four, including a 3-0 hammering in Seville and a shock 1-0 reverse to CSKA Moscow in the Champions League. We have a Next Real Madrid Manager market up on the Sportsbook, with Tottenham's Mauricio Pochettino the 5/2 favourite and former Chelsea boss Antonio Conte a 7/2 chance.